Urine Drug Test. Detects one single drug in urine. The detectable substances are: Cocaine and metabolites, Amphetamines, Ketamine (Ket), Methamphetamines (Ecstasy MDMA), Marijuana (THC cannabinoids), Opiates (Heroin, Morphine and metabolites), Phencyclidines, Benzodiazepines, Barbiturates, Methadone, Tricyclic Antidepressants, Buprenorphinee. 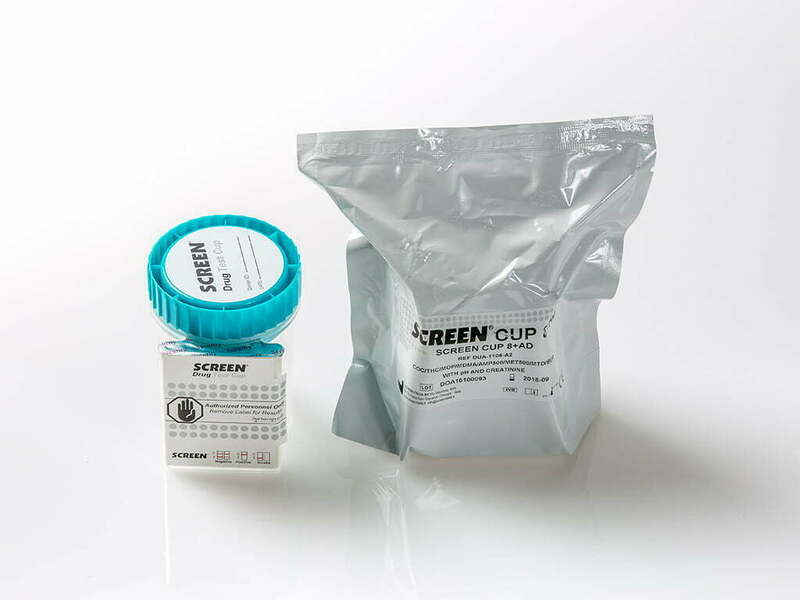 You can purchase the single substance test you need. Available for: Hospitals, Government Bodies, Analysis Labs, Rehabilitation Centres, Professionals, Public Officers, Companies, Retailers, etc. Urine Drug Test. 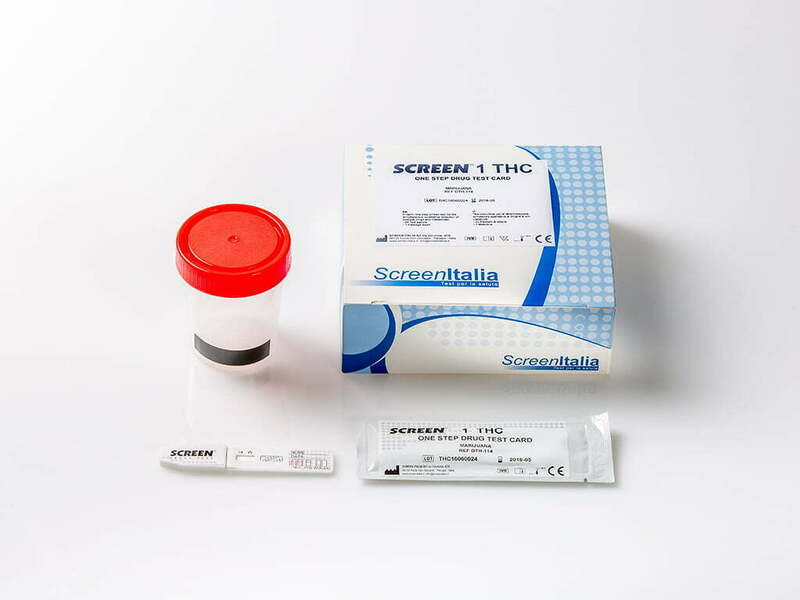 Detects the following substances in urine: Cocaine and metabolites, Amphetamines, Methamphetamines (Ecstasy MDMA), Marijuana (THC cannabinoids), Opiates (Heroin, Morphine and metabolites). Available for: Hospitals, Industrial Medicine, Government Bodies, Qualified Physicians, Analysis Labs, Rehabilitation Centres, Professionals, Public Officers, Companies, Retailers, etc. Urine Drug Test. Detects 8 substances in urine. 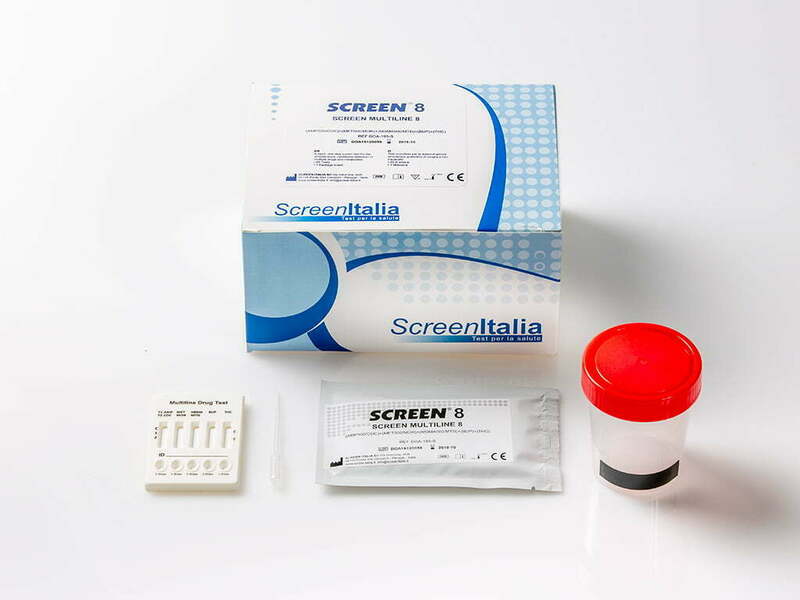 It detects the following substances: Cocaine and metabolites, Amphetamines, Marijuana (THC cannabinoids), Opiates (Morphine, Heroin and metabolites), Benzodiazepines, Barbiturates, Methadone, Tricyclic Antidepressants. Available for: Hospitals, Industrial Medicine, Government Bodies, Qualified Physicians, Analysis Labs, Rehabilitation Centres, Professionals, Public Officers, Companies, Retailers, etc. Urine Drug Test. Detects 10 substances in urine. 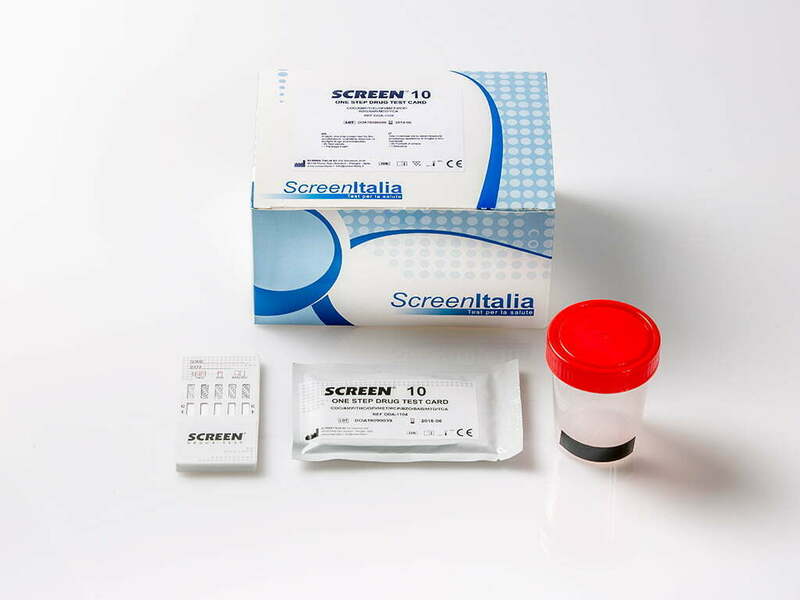 It detects the following substances: Cocaine and metabolites, Amphetamines, Methamphetamines (Ecstasy MDMA), Marijuana (THC cannabinoids), Opiates (Morphine, Heroin and metabolites), Buprenorphine, Benzodiazepines, Barbiturates, Methadone, Tricyclic Antidepressants. 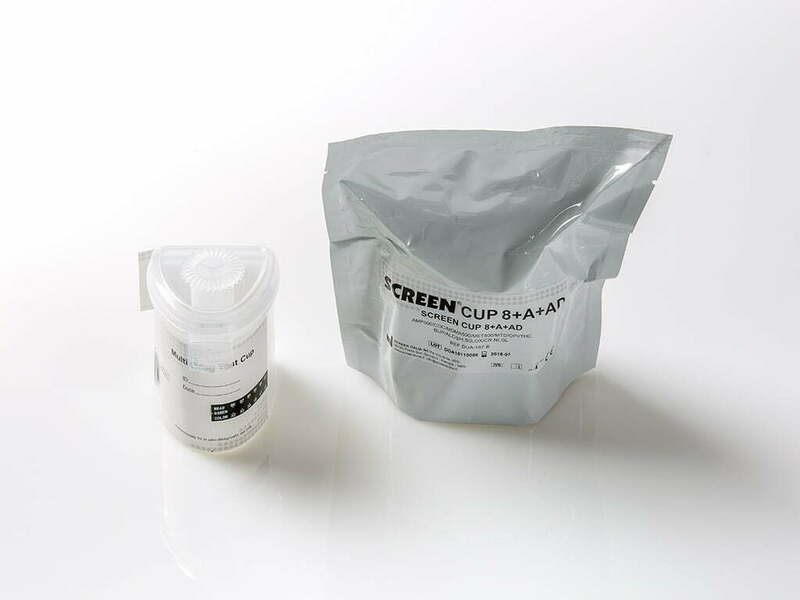 Available for: Hospitals, Industrial Medicine, Government Bodies, Qualified Physicians, Analysis Labs, Rehabilitation Centres, Professionals, Public Officers, Companies, Retailers, etc. Urine Drug Test. Detects 10 substances in urine. 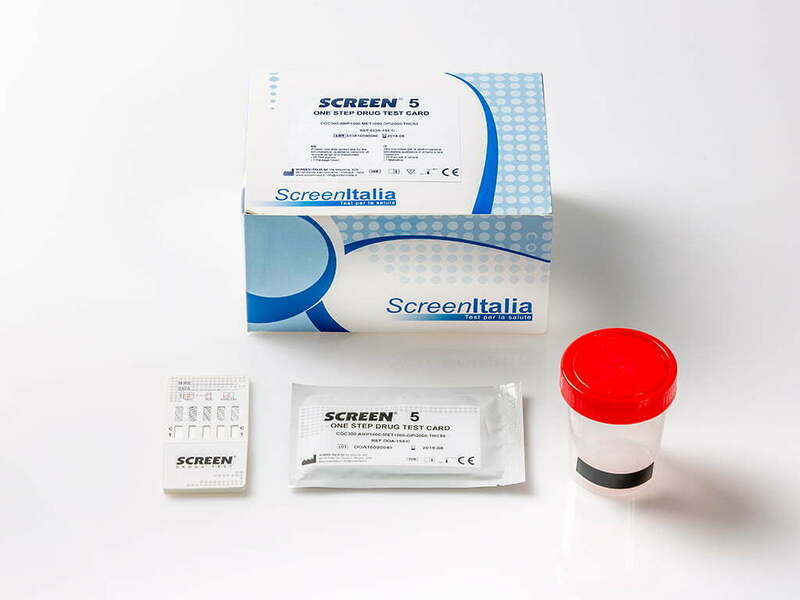 It detects the following substances: Cocaine and metabolites, Amphetamines, Methamphetamines, Ecstasy MDMA, Marijuana (THC cannabinoids), Opiates (Morphine, Heroin and metabolites), Buprenorphine, Benzodiazepines, Methadone, Tricyclic Antidepressants. Available for: Hospitals, Industrial Medicine, Government Bodies, Qualified Physicians, Analysis Labs, Rehabilitation Centres, Professionals, Public Officers, Companies, Retailers, etc. Urine Drug Test. 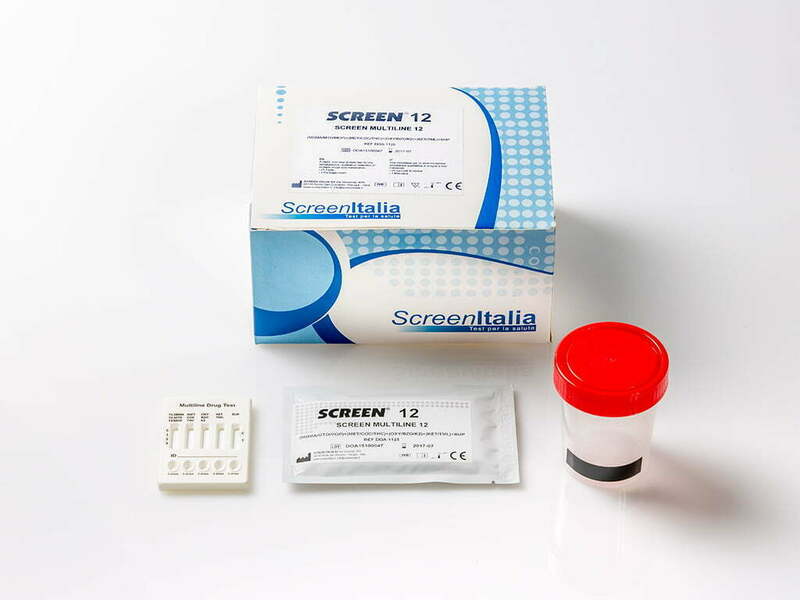 Detects 12 substances in urine. It detects the following substances: Cocaine and metabolites, Ketamine, Methamphetamines, Ecstasy MDMA, Marijuana (THC cannabinoids), Opiates (Morphine, Heroin and metabolites), Buprenorphine, Benzodiazepines, Synthetic Marijuana (K2-Spice), Methadone, Oxycodone, Tramadol. Available for: Hospitals, Industrial Medicine, Government Bodies, Qualified Physicians, Analysis Labs, Rehabilitation Centres, Professionals, Public Officers, Companies, Retailers, etc.